Kathmandu is the capital of Nepal, as well as its largest metropolitan area, with a population around 1.6 million (around 700,000 in the city proper). It is located in the Kathmandu Valley of the Himalayas, in a bowl between four major mountains. Eight rivers flow into the city from the mountains. 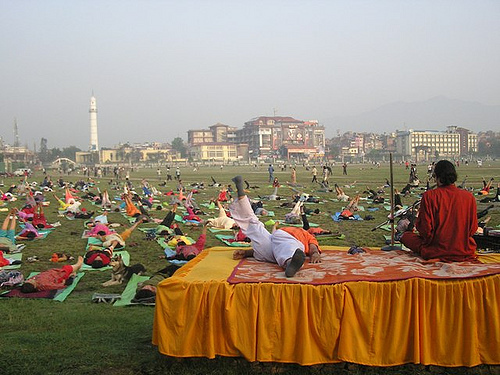 Kathmandu is also the headquarters of the Central Region of the country, and is the economic center of Nepal. 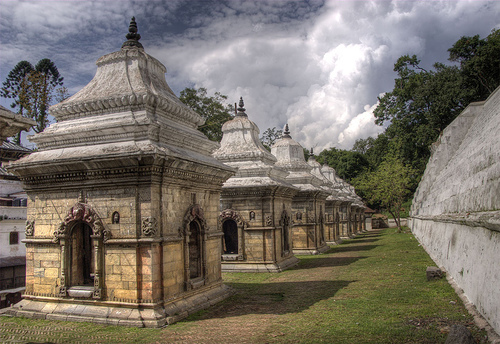 Kathmandu is a very old city with a history dating back 2,000 years. Citizens take pride in its history with the silk trade between Tibet and India. Most of the city’s inhabitants speak Nepali, but some speak the BhasaNewari language. Most of the educated population also speak English. This city is a major cultural area that has several UNESCO World Heritage sites, and also hosts festivals throughout the year. There are many historic temples and palaces throughout the city, as well as Boudhanath, an important Buddhist site. Kathmandu also has the most developed infrastructure in the country. Because it is also a major industrial center, there is a problem with air pollution. The residents in this city come from a variety of ethnicities, and there are Hindu, Buddhist and Muslim populations. 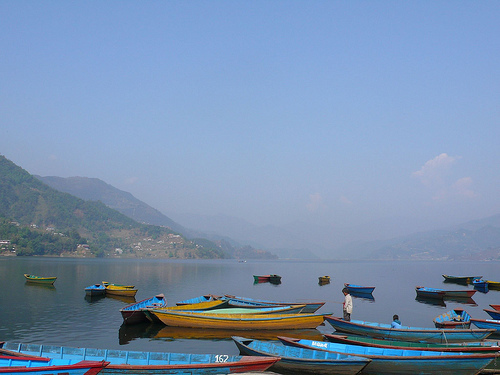 Pokhara has a population of approximately 200,000, and it is located in the center of Nepal. The city is situated in the corner of the Pokhara Valley, between the fasting rising mountains on earth. Due to its geographic location, there is an immense amount of precipitation. This city is also in the crossroads of the old silk trade route between Tibet and India. It used to be accessible only by foot until 1968, when a road into the city was finished. 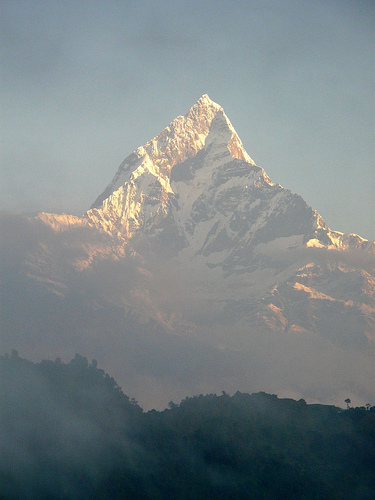 Pokhara is a place of remarkable natural beauty, and many visitors flock here to experience it. There are seven lakes in the city, and the main one is on the south side, which is called Phewa Tal. There are also very tall snow-capped mountains to the north side of the city. The Seti River flows in Pokhara, which has created large canyons. Many caves are located underneath the city, some of which are accessible. Apart from the natural attractions, there are also some cultural sites, like temples and traditional old stores. Pokhara is also a modern city in addition to its history and nature. Some educational institutions exist there, and there is also an airport. A few bus routes go throughout the city, from North to South. The places of interests should be made more specific. Other lakes like Begnas Tal and other attracions like Davis’ Falls etc should also be highlighted with pictures.